8 in 10 young Australians think the world is going in the wrong direction and the environment is one of the top three concerns. This should come as no surprise since young Australians are the ones who will live with the impacts of climate change the longest. 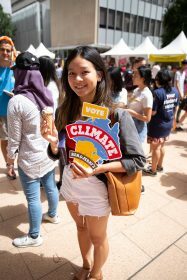 So Ben & Jerry’s have partnered with Australian Youth Climate Coalition (AYCC) to get every eligible young Australian enrolled and to vote climate as their #1 election issue in 2019. They got Republic of Everyone on board to create a campaign to make this happen. 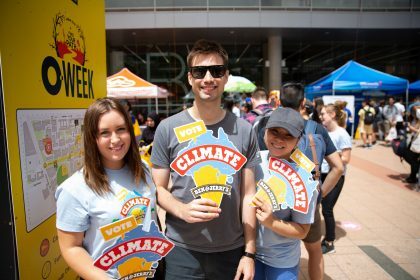 The ‘Vote Climate’ campaign kicked off in February during orientation week at UNSW and continued across other universities in NSW, ACT and QLD. Ben & Jerry’s and AYCC helped students check and ensure they are enrolled for the upcoming federal elections. In exchange, students earn themselves a free scoop of Ben & Jerry’s ice cream. Republic of Everyone founder, Ben Peacock said” “It’s fantastic to see Ben & Jerry’s prepared to take on a difficult issue such as climate change. “Too many brands want ‘safe’ issues to champion and this is probably the one that matters the most. Peacock concluded: “In the last Federal election, the most marginal seat was won by just 32 votes. The team at Republic of Everyone came up with the campaign concept, collateral, messaging and is responsible for the event activation at six campuses. Republic of Everyone’s sister PR agency the Bravery ran the campaign PR.